Chat-room is one of fans’ favourite way to communicate and is the place for fans to gather and talk about their idol. And sometimes, the idols are curious and try to get into these group chat to see what is happening. But life is not a dream because no fan will expect their idol will directly come into the group chat and talk with them. As a result, many idols have to use any way possible to prove their identity. There was even some pathetic case where the idol is kicked out of the room-chat because they violate the rules. Recently, V (BTS) decided to sneak into ARMY’s room-chat. However, it was hard to understand why he choose 3 AM to do this, while all fans are sleeping. He wants to join and communcate with fans but because he didn’t know the rules, the visual was warned due to being noisy. V must use pictures to chat with fans. Soon after, the male idol had to use every other way, changed his real name to Kim Taehyung, and also recorded his voice as evidence, but the fans still didn’t believe it. Finally, V‘s plan failed miserably and was forced to leave the chat room. 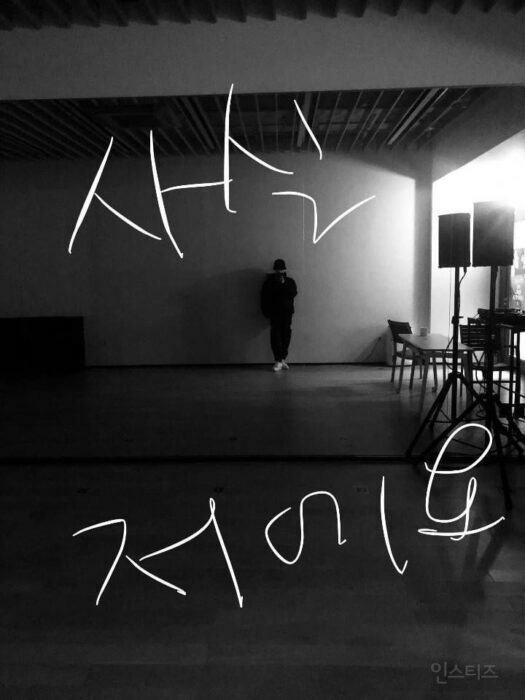 He left behind a voice recording saying: “I’m not fake.” However, fans still kicked him out of the chat room. Jaehyun also received a bitter ending when he tried to join the fan chat room. The story is that on a beautiful day, he also joined the group and introduced himself with a dark photograph, and of course, no one realized it was him. Finally, because everyone was watching the movie and didn’t believe it, Jaehyun had to leave the group in regret. He showed off a dark, blurry picture to prove to his fans. The guy was chased away by fans without mercy. 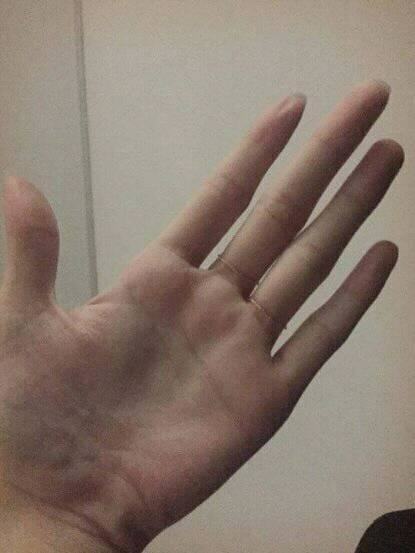 Jiyeon took the picture of her hand to prove it. 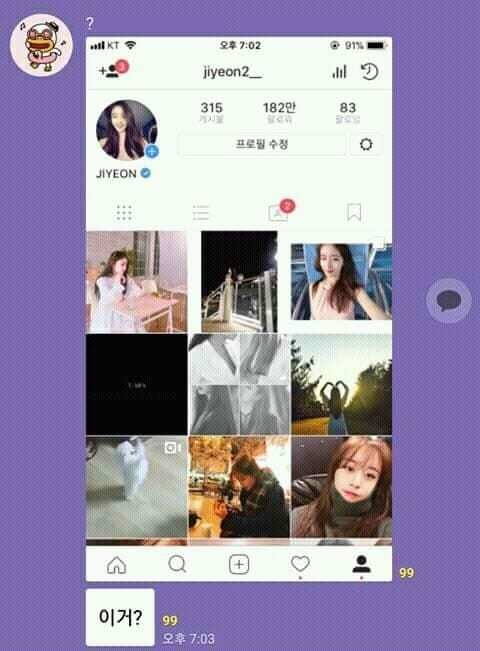 She also sent a photo of her Instagram screen to convince fans. 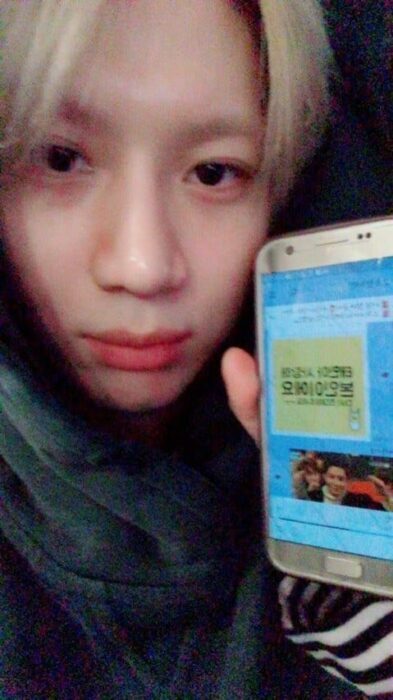 In February last year, Taemin also joined the fan’s private chat room. 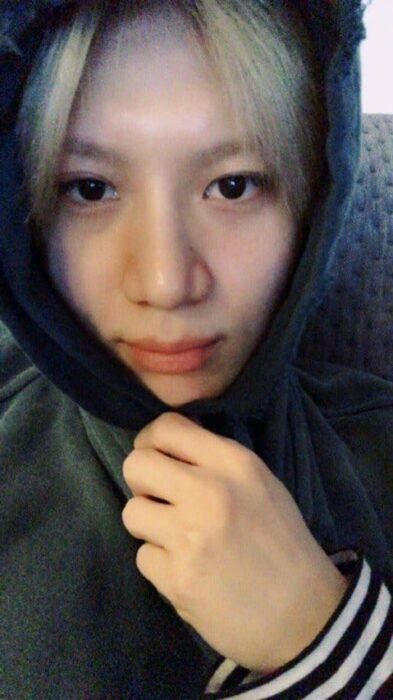 Initially, the fans were skeptical about Taemin and even nearly chased him out of the group because of a violation of the rules in the chat room. Immediately after proving his identity by taking photos of his face, SHINee‘s members can stay and chat happily with fans. Before leaving, he promised to return to the group when he had time. Taemin struggled to prove his identity to be in the fan’s chat room. Wannable also had the opportunity to have fun when Park Ji Hoon personally joined the chat group. Reportedly, the chat group’s regulations are only for images and not for direct messaging. Therefore, when the new “break-in” was successful, he quickly pleaded with fans not to kick him out of the group with a very cute message. After that, for fans to believe more, he quickly sent a newly taken picture to the group. “Hello Wannable, don’t chase me out of the group, I’m begging you. I’m shaking here!” – Park Ji Hoon sent a message to fans. After that, he showed off the photo with Sungwoon to fans. Despite conquering many fans, but “breaking into” the fan’s chat room for many idols is an extremely difficult task. The idols have to use many ways to prove their identity, yet sometimes, fans not only did not believe but also kicked idols out of the group mercilessly. After learning the truth, many fans must have regretted the great opportunity so much.